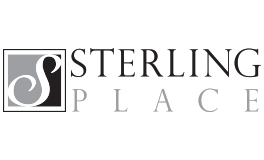 Sterling Place is your place to call home! Contemporary and well-appointed living spaces complement an impressive collection of community amenities - fitness center, private balcony/patio and beautiful outdoor seating area with gas grille. Stylishly designed with a dash of elevated luxury, choose from the many spacious one and two bedroom floor plans. Best of all, this ideal location boasts the best of what the city and suburbs have to offer - direct access to rail transportation into Boston and Cape Cod and to all major routes and highways. Delight in the nearby shopping, entertainment and dining options or simply relax, unwind and enjoy your time with family and friends.